They have arrived! The January and February shipments for That 70s club have been delivered to the club members, so I think it’s safe to show them off. January’s shipment, There Be ‘Shrooms, was inspired by all those mushroom things that were around in the 70s. Do you remember those ceramic flour/sugar containers? Specifically this one? Someone I know had this exact set. And my grandparent’s furniture matched it perfectly. I think they still have that furniture! February’s shipment, Corduroy, is a deep, red/brown coordinating semisolid. This will definitely become a regular colorway! 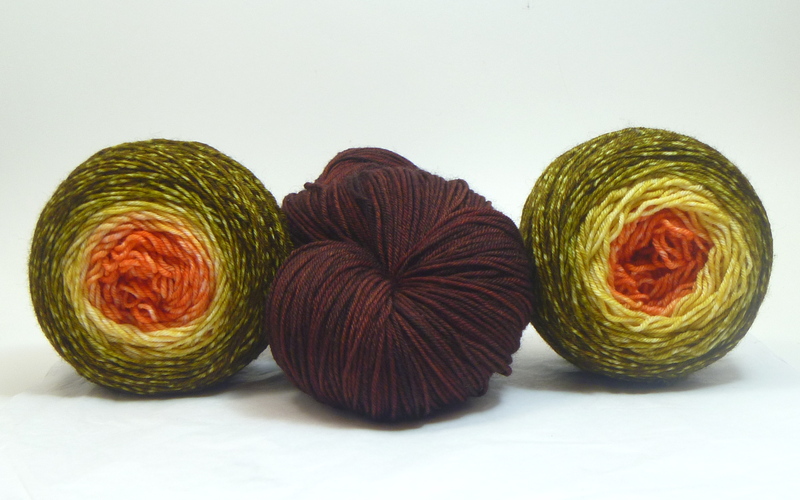 I can’t wait to knit myself some colorwork socks with these two. 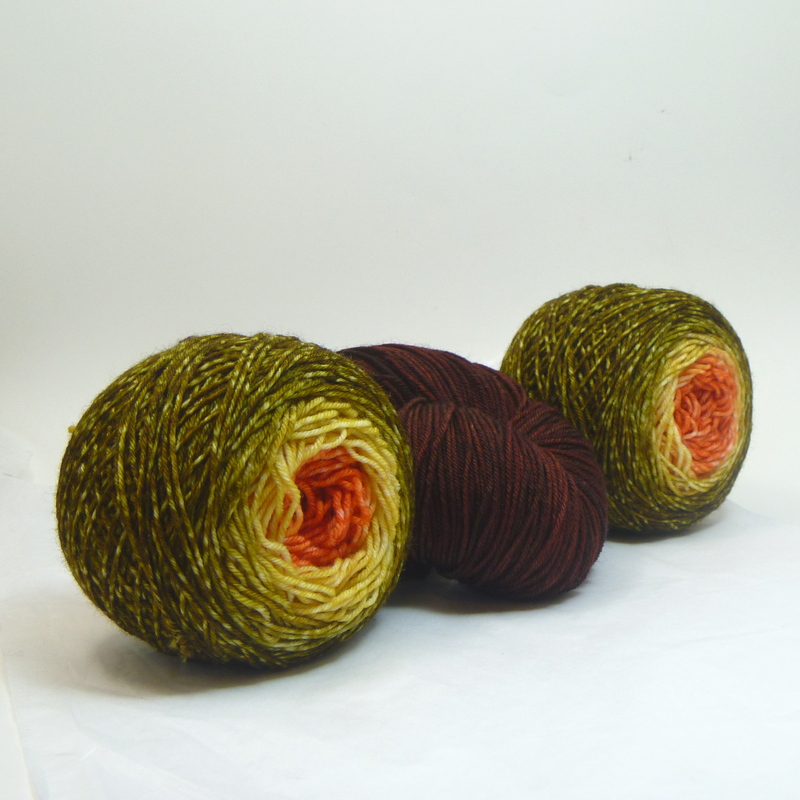 This entry was posted in Clubs, Dyeing, Knitting by cgovernoillustration. Bookmark the permalink.